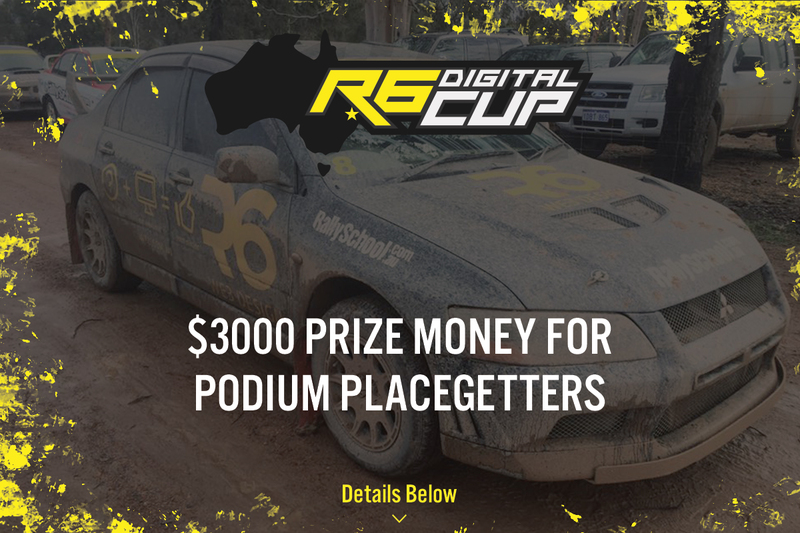 New for 2018, the R6 Digital Cup is a new invitational event run in conjunction with Australia’s round of the world Rally Championship, Kennards Hire Rally Australia. With $3000 prize money on offer, the Event is an invitational event for International and Australian crews not part of the WRC or the CAMS Australian Rally Championship. There is no requirement for crews competing in the R6 Digital cup to use control tyres or WRC type tyres and this new event give regular crews from Australia and New Zealand to experience world famous roads and this includes a run each night at the Destination NSW Super special stage in front of an estimated 20,000+ spectators. The cars that will compete in the R6 Digital cup are wide and varied; from turbo charged current day AWD cars to Rear wheel drive sideways monsters. The competition is expected to be fierce with strong competition expected from New Zealand competitors pushing the limits on roads that are comparable to many roads both in New Zealand and Finland. The R6 Digital cup cars will compete directly after the CAMS Australian Rally Championship cars and crowds will get to see these fabulous cars soon after the world’s best WRC cars.